I have been looking for ways to have more fish on the menu. Most times we end out having salmon. I really wanted to have more white fish. In Denmark you normally have halibut smoked for lunch on an open faced sandwich. So the fresh halibut was new to me, but it’s so meaty and the color so bright white. 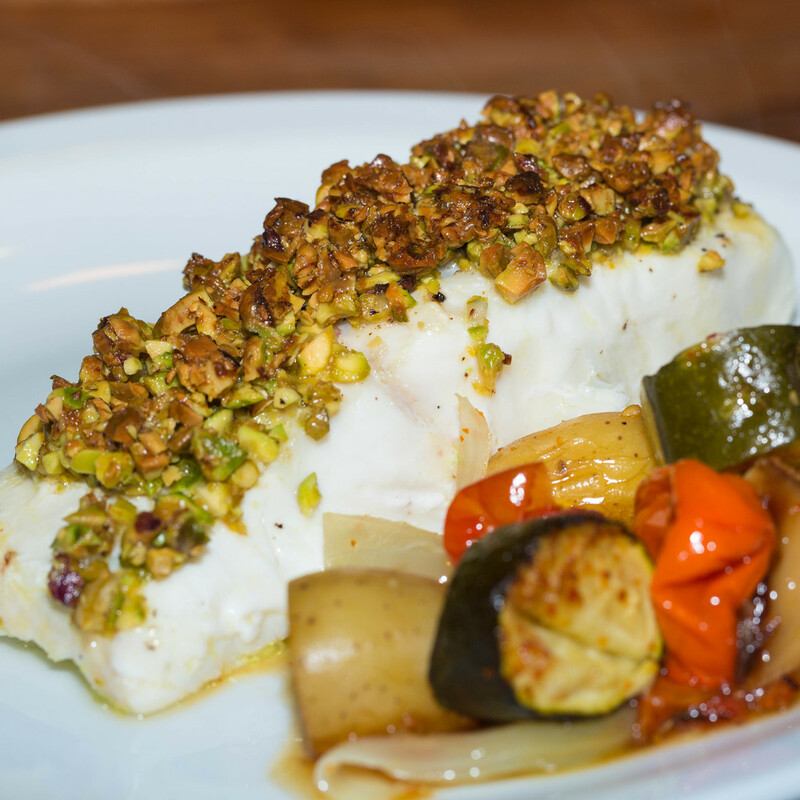 Putting halibut together with pistachios and lemon zest is a winning combination. Put fish in a ziplock bag, pour milk over it, and chill for 30 minutes. Meanwhile, chop the pistachios finely and mix it with lemon zest, parmesan and oil in a bowl. Remove fish from milk, letting excess drip off. Transfer to a baking sheet lined with parchment paper and sprinkle all over with salt and pepper, top up with pistachio mixture to form a thick coating on the halibut. Bake the fillets until the topping is crisp and browned and the fish is cooked through, 10 to 12 min., depending on thickness. Serve immediately. Serve with roasted potatoes and a spicy sour cream sauce.